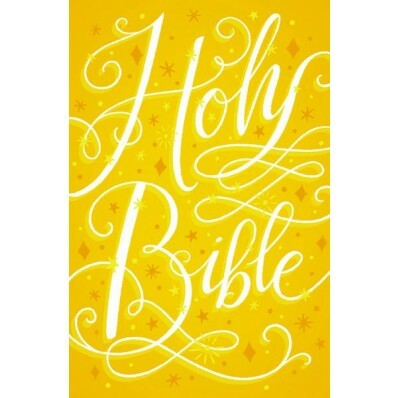 The ICB Golden Princess Sparkle Bible comes with a dazzling cover with shimmering design and lots of sparkling glitter, all highlighting the beloved princess theme. You and your little princess will love the thirty-two pages of full color insert that dive deeper into some of the most beloved Bible stories. I admit that I'm still somewhat of a novice when it comes to God's Word. I appreciate when there are resources, footnotes, tips and hints contained within a Bible that help open my eyes and discover the messages. The ICB Prayer Bible is an amazing manual outfitted for children, but I think it's perfect for an adult as well. 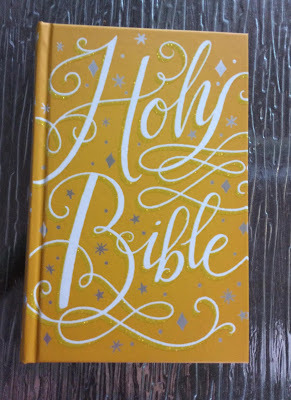 The cover of the Bible is very pretty, with a yellow background and some sparkle. There's a lot of information contained within the Bible to help readers with their walk with God. Colored pictures throughout the Bible illustrate some of the stories. 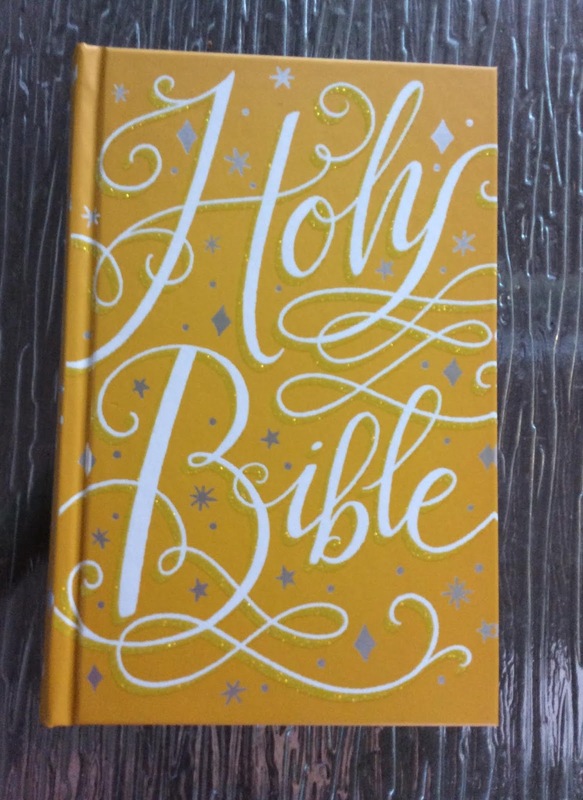 One person will win an ICB Golden Princess Sparkle Bible. I am not sure of the exact number but I probably have 5 or 6 Bibles. I personally own one I recieved it from the church when I got baptized two years ago. I'm a pastor's wife and have no clue how many Bibles are in our home! I believe we own about 4 Bibles. However, I do not have a kid friendly version like this, it would be perfect for my daughter! I probably have 5 or 6 Bibles, including some small children's Bibles that my son got at church. I received one Bible with my name engraved on the cover from the church when I was baptised. I have 2 teaching Bibles and one is nicer than the other because it has fold out maps and photos, and footnotes that decipher words, etc. I have mostly King James version Bibles, but have a couple of other more plain language versions, but rarely use those. I also have a large family Bible that my husband's grandmother gave us when we were married. I own one bible from my childhood to now. I have bible story books for the grandchildren. I have one, my husband has one, and we have two old family Bibles. I own two Bibles. One I received from my mom as a child and other I bought as an adult. I have1 that I got when I was in high school 37 years ago. Sadly, 0. No bibles in our home yet! Oh boy. We have something like 9 bibles in our house. I think our kids would love this one though. I think we own two, not including the kids bible story books. We have 4 or 5 Bibles in the house. We have one in our room. Our kids have several kids bibles though. I only own one bible- I have had that book ever since I was little! It is veeeery old! i have three Bibles right now. I don't like to get rid of Bibles. I keep them forever and ever. I️ have about 4 of my own bibles. I own at least three bibles. I don't have a bible in the house, this would get me reading! I have owned one bible since I was ten. My uncle bought one each for me and my sister and had our names printed on them. I have had it 21 years now. I also inherited a family bible. It has our family tree in it. It is very old and stays put up. But the one with my name on it needs to be retired. I do not have a single Bible in my house and have never been given one. I have two, I had more but I don't know where they went. I have 3, thank you.